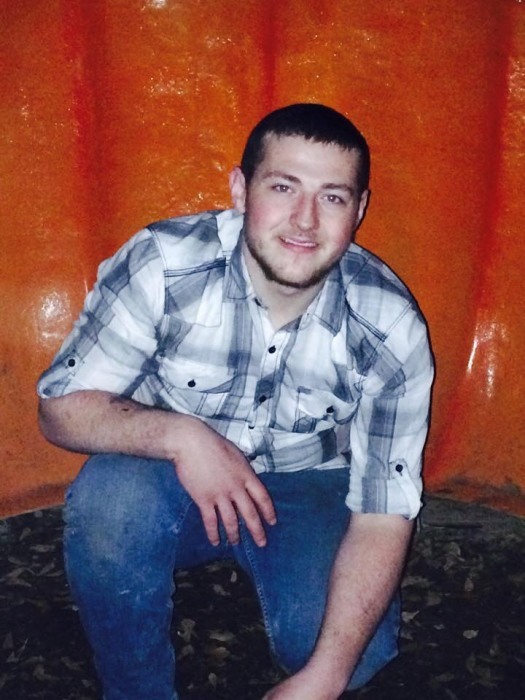 Cody Edward Angel, 23, of Rydal, GA, died Thursday, July 19, 2018 from injuries sustained in a motor vehicle accident. He was born in Gordon County on July 20, 1994, son of Danny Lee Newport and Sandra Shrie Angel. He was preceded in death by his grandfathers, Edward Angel and J.C. Newport. Cody was a 2012 graduate of Sonoraville High School. He was employed with Landscape Associates. Survivors include his fiancée, Brittany Miller; his children, Braiden Angel, Jackson Angel, Dustin Angel, and Bentley Miller; his father, Danny Lee Newport; his mother, Sandra Shrie Angel; uncles and aunts, Tony and Sherry Angel, Tim and Kim Angel, Pamela and Richard Bishop, and Thomas and Dena Angel; and his grandmothers, Faye Angel and Shirley Newport. Services to honor the life of Cody Edward Angel will be held from the chapel of Max Brannon and Sons Funeral Home on Tuesday, July 24th at 1:00 PM, with Rev. Delmar Ledford officiating. Interment will follow in Erwin Hill Church of God Cemetery. Pallbearers serving will include AJ Angel, Timothy Angel, Christopher Angel, Ben Turner, Lamar Turner, Jerry Turner, Josh Newport, John Turner, and Daniel Roberson. The family will receive friends at the funeral home on Monday, July 23rd from 5:00 PM until 9:00 PM. Condolences may be left at www.maxbrannonandsons.com. Funeral arrangements for Cody Edward Angel are under the care and direction of Max Brannon and Sons Funeral Home of Calhoun.